It’s safe to say that, as long as the world keeps pouring billions into Disney’s coffers over their array of cinematic series and franchises, the House of Mouse is going to continue to make movies based on them. What with Star Wars, Marvel, Pixar, and their own output to bring in the bank, the only thing restraining Walt’s workers from flooding theaters with even more product is time. Of course, should something flop ala The Lone Ranger or John Carter and the brake is pulled before a true artistic appreciation of the effort can be achieved. It’s all about the box office and the bottom line for the (not just) animation giant. All of this is offered as a way of explaining why we are being subjected to yet another Pirates of the Caribbean movie. Johnny Depp delivered on the promise of the original trilogy, creating one of the most mythically complex sea faring adventures ever. He turned a roguing character into a pop culture icon, and even earned an Oscar nod for his work as Captain Jack Sparrow. But after hugely disappointing fourth installment–On Stranger Tides–many were hoping the actor would abandon this now water-logged material. But after bringing in over a billion dollars for such mediocrity, there was no way Disney was going to deny another installment. They should have. 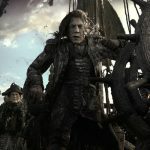 Pirates of the Caribbean: Dead Men Tell No Tales (also known as Salazar’s Revenge in other markets) is yet another slog through an attempt to tie these new films in with the older ones. They bring back Will Turner (Orlando Bloom was wisely MIA for Part 4) and introduce a new magical talisman–The Trident Of Poseidon–to drive the quest. It has the power to lift curses, you know the drill. 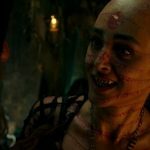 Our new villain is yet another zombie buccaneer, Captain Armando Salazar (Javier Bardem) and our new female lead is a woman named Carina Smyth (Kaya Scodelario) who holds the key to locating the elusive object. She is an expert in astronomy and science. Of course, there are old vendettas and scores to settle, lots of over the top spectacle, and just a minor amount of depth. But there is a distinct feeling of “been there, done that” with this movie that now seems to pervade the entire Pirates franchise. What seemed fresh and intriguing back in 2003 now comes across as rote and uninspired. Zombie pirates? Seen it. Magical item that will cause/cure all the problems? Yep. About the only new angle explored is something called The Devil’s Triangle, which ends up being a bit of a red herring. 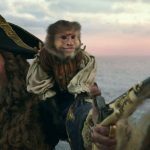 And, of course, the final credits offer a preview of the possible return of another Pirates alumni (Davy Jones…cough, cough…Davy Jones). Just like how an overabundance of westerns ruined the genre in ’50s and ’60s popular culture, the POTC movies are destined to make such water-based bombast a thing of the past. Of course, as long as people around the planet line up to see the lingering career spiral of Mr. Depp, lax domestic returns won’t matter. 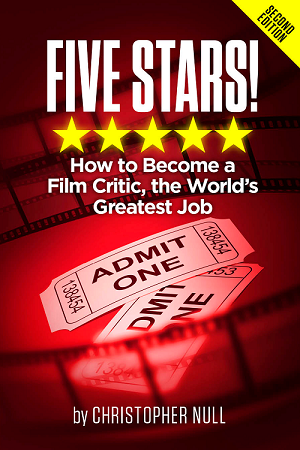 These movies have always been a bigger deal for the international crowd than viewers in the US. Newcomer directors Joachim Ronning and Epsen Sandberg (responsible for the Oscar nominated foreign film Kon-Tiki) bring a bit of new perspective to the mix, but Dead Men Tell No Tales still feels like filmmaking by committee, the $250 million budget clearly spent on making sure all the elements that drove the previous movies are present and well-paid. Considering the lukewarm response aesthetically, there’s no critical need for another Pirates film. But with a profit all but guaranteed, we obviously haven’t seen the last of Captain Jack and his so-so swashbucklers.